Take an intimate look into the contemporary world of absinthe. International in scope, Absinthe: The Enchanted Elixir is a visually rich journey into an alluring subculture. Filled with color reproductions of classic and current lithographs, posters, cartoons, photos of antiques and glassware, and other tools of the absinthe drinker, this new and comprehensive guide explains and illustrates the history, culture, and mystique of the drink known as the Green Fairy. The authors provide insights into the controversy and effects of the Green Fairy through the stories of famous connoisseurs, including Vincent van Gogh, Oscar Wilde, Ernest Hemingway, and Pablo Picasso. 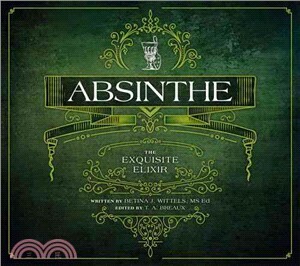 In addition to a rich history, this detailed new guide introduces readers to recipes, reviews of existing Absinthe brands, and absinthe’s contemporary culture and ritual. Confirmed absinthe drinkers, neophytes, the curious, and collectors will all find this book equally intriguing and seductive.